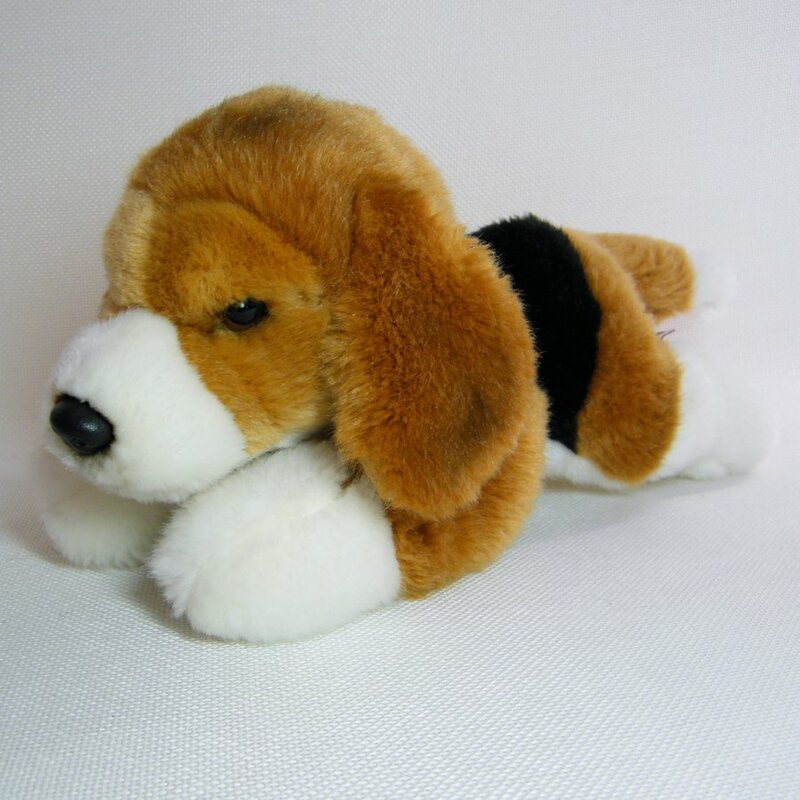 This Webkinz Signature Beagle puppy is in a lying down pose and is a wonderful carry size for little hands. It measures approx 11" from nose to tail and is about 5" high. This puppy has co codes - just a lot of character for physical hugs and a delight to display. Back of the right foot has the stitched Webkinz Signature Gold logo, all tush tags. Airbrushed toes for definition, bottoms of the ears and surrounding the nose. This little one doesn't seems to have any whiskers detailing. Very nice condition, previously owned. Please view pics for the visual description. From a smoke free environment. Thanks for looking.